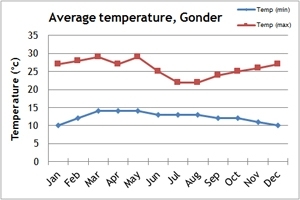 When is the best time to travel to Ethiopia? 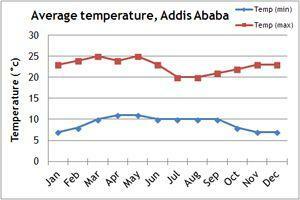 Our climate charts will give you an idea of the weather conditions of Ethiopia. 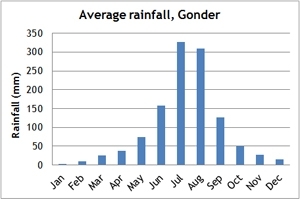 The best time to visit Ethiopia is in the dry season, between November and May. 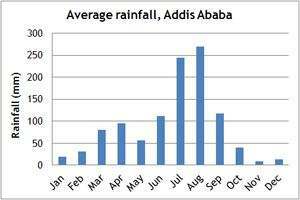 June to early October is the wet season, and so if you are on a trek in Ethiopia shortly after the rains, then the landscape is a verdant green and very beautiful. If you can't make the dates of our group departures, then take a private departure on dates to suit you, or we can create a Tailor Made holiday to Ethiopia, especially for you and your family or friends.